This chicken and rice recipe is a flavorful pilaf made with chicken, pecans, rice, tomatoes, and seasonings. It's an easy one-pot meal to prepare and cook in a saucepan or saute pan. 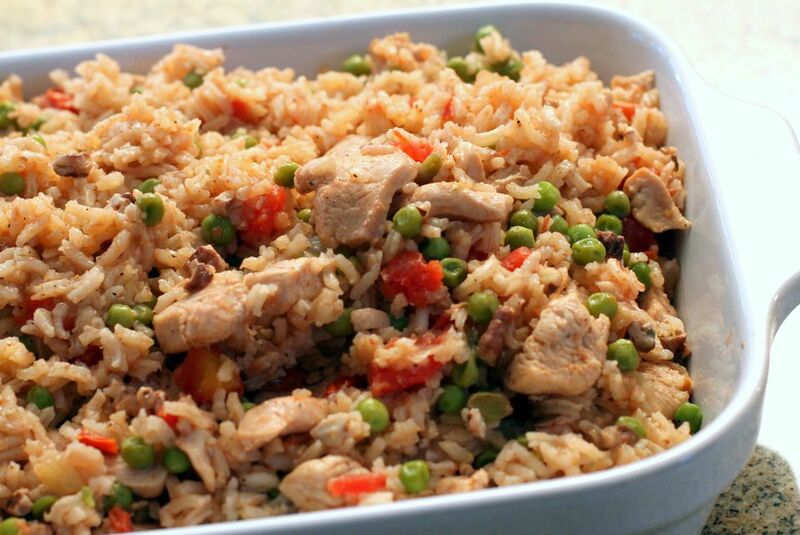 Tomatoes and seasonings give this chicken pilaf lots of flavor and moisture. Add chicken and onions and cook for 3 minutes. Add the pecans and cook for 2 minutes longer. Add salt, pepper, and coriander. Add rice and cook, stirring, for 5 minutes. Add the boiling broth and add the tomatoes. Bring to a boil. Cover, reduce heat to low, and simmer for 20 minutes, or until rice is tender and liquid has been absorbed.